These Pork and Shrimp Lemongrass Skewers are an all time favourite in my house. We call this Jim’s Thai Stick. Many years ago I attended a Thai cooking class where we pressed a combination of ground pork and shrimp meat around a single shrimp on a bamboo skewer. Over the years we have adapted this recipe and here it is today wrapped around a lemongrass skewer. The combination of ground pork and shrimp is juicy, the cilantro and orange zest add a flavourful punch and the coating adds a nice crunch. Although the mixture can be made into little meatballs or patties the lemongrass skewer takes this appetizer up a notch. I’d hardly call this an everyday dish. Who has an appetizer on any given day of the week? But there is an everyday presentation just to enjoy wonderful food at home. Then there is the gourmet presentation that creates a feast for the eyes. I like to share that effort or the results of it, with friends. Challenge yourself to go the extra mile just for fun. Fresh lemongrass is no longer difficult to find. I see it at large grocery stores with an extensive Asian section and of course Asian markets carry it too. As an alternative you can buy frozen or dried lemongrass and add some to the mixture. 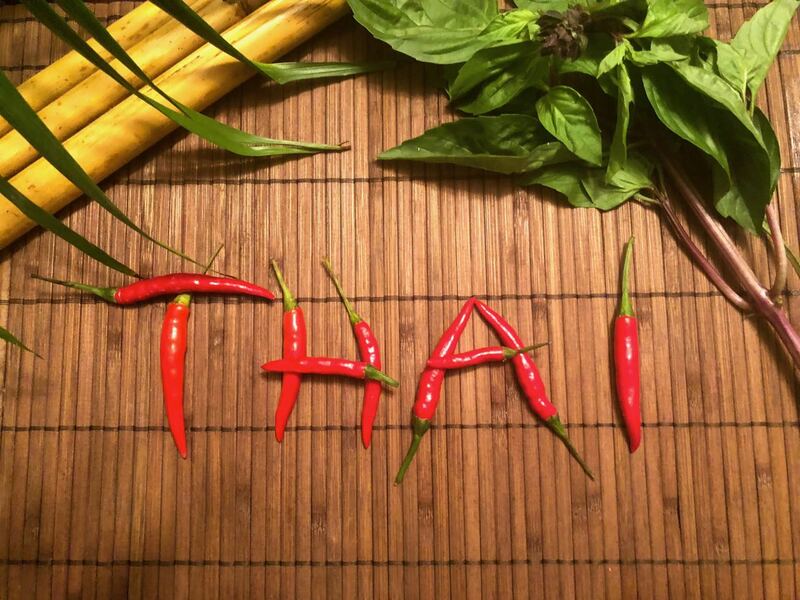 If you like Thai and Vietnamese cuisine you could keep some in your pantry. 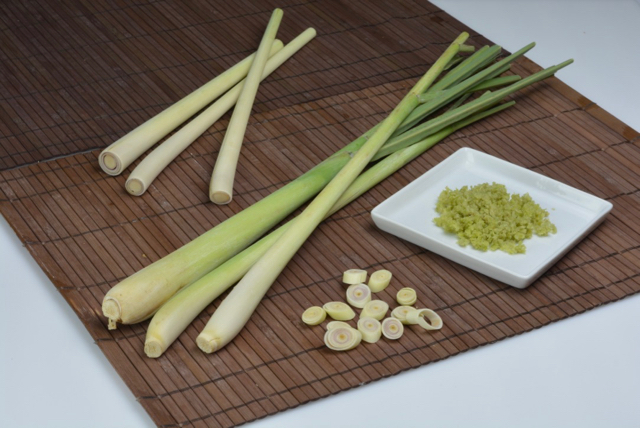 Lemongrass is an essential ingredient for many dishes from Southern Asia and India. This herb has a subtle citrus flavour that is unique and must be tasted to understand. To use fresh lemongrass stalks you need to trim both ends. First cut off the top one-third of the stalk. Next trim the bottom root end cutting about one-inch off. Next remove the toughest outer pieces from the stalk, two or three pieces depending how thick the stalk is. Now you have the most tender part of the stalk to use. In some recipes the trimmed stalks would be used chopped or sliced. 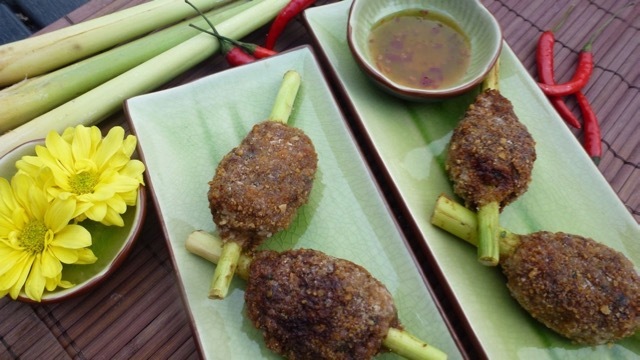 This recipe does not even use lemongrass but the finished Thai Sticks take on that subtle flavour from using whole stalks as skewers. To learn more about buying and using lemongrass you can read my blog post How To Use Lemongrass. It talks about fresh, frozen and dried lemongrass. Let me know in the comments below what form of lemongrass you use or if you tried this recipe. Trim lemongrass of outer stalks and the hard end. From each stalk make 2 skewers, about 5" in length. Puree shrimp in a food processor. In a large bowl combine pork, shrimp, green onion, soy sauce, cilantro, garlic, chili sauce and orange zest. Stir until just combined. Use an ice cream type scoop to measure even portions of the pork-shrimp mixture. Carefully wrap mixture around each lemongrass skewer and place on a wax paper lined tray. Prepare 2 shallow bowls, one with breadcrumbs and one with cornstarch. Gently roll each skewer in the breadcrumbs and then the cornstarch. Place on a clean tray until ready to cook.Can be prepared one hour in advance. Heat oil in a large saute pan on medium-high heat. Saute skewers turning until browned on all sides and cooked through, 12-15 minutes. Serve with sweet Thai chile sauce.